Welcome, fellow teachers! Curious about Montessori education? Or do you have years of experience under your belt, but you’ve heard good things about Montessori and can’t help but wonder what the buzz is all about? What make Montessori education special? Children need me to teach them and tell them what to do. How can Montessori really work? I have a traditional teaching background. 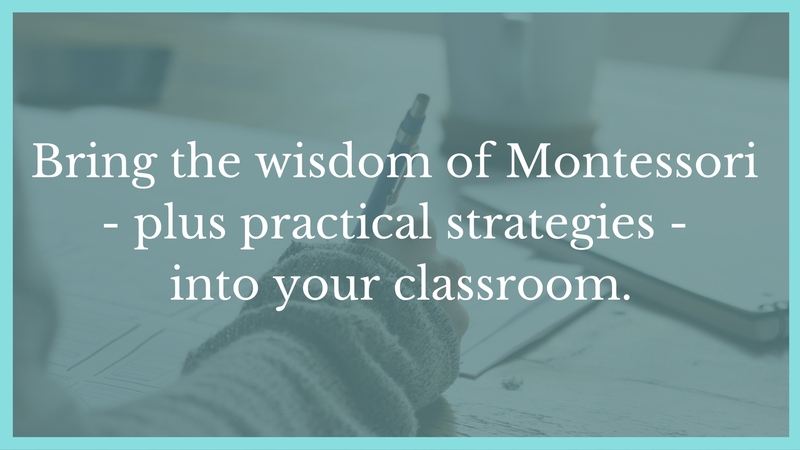 Can I still apply Montessori principles in my classroom? I’m struggling with classroom management. Do you have any Montessori advice for me? What are good age-appropriate toys/materials/activities for my students? I’ve heard good things about Montessori, but I just don’t understand their approach to fantasy and the imagination. What’s the deal with praise? I teach my own kids at home. Can you help me incorporate Montessori principles? If these or other questions have been on your mind, then you’re in the right place. 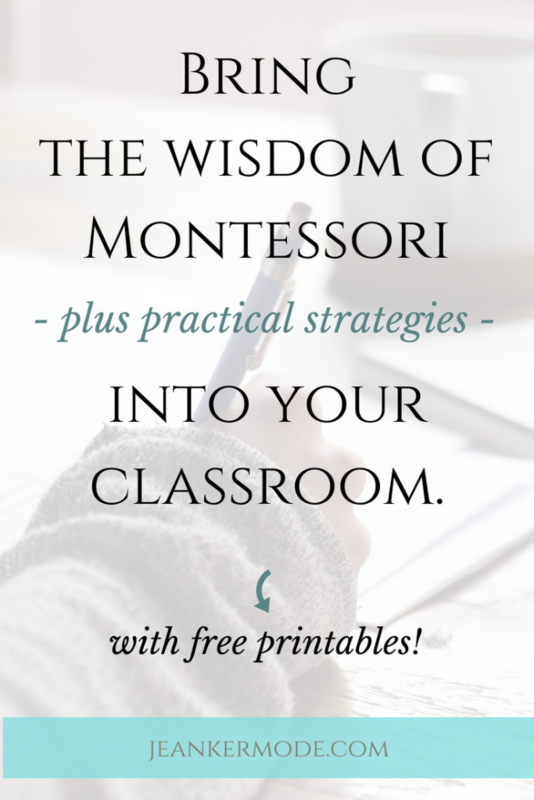 My passion is to help teachers understand the wisdom of the Montessori method and apply it practically in their own classrooms and lives. And, in the sea of advice that’s out there, I’m confident that Montessori principles will make a difference in your life. Why? The Montessori method is based off of observation, not just ideas. Maria Montessori spent years caring for children, and she studied what actions and materials helped them thrive. These observations became the basis for her work. For the rest of her life, she continued to observe children and fine-tune her work. The Montessori method has been successful in many different countries, cultures and social classes. How? It addresses themes that we all hold in common: love, independence, community, work – yet it recognizes the uniqueness of each person. You want your students to thrive. You want to see them grow in confidence and independence. You want to see them become thoughtful and responsible members of your little community. You want them to love to learn! Most of all, you want each student to cultivate that unique set of God-given gifts that belongs to no-one else. I’ve spent many years working with children, and one year of intense study in the Montessori principles of education. I understand the nuances of this method, have applied it successfully with my own students, and have helped parents and teachers to understand and apply it as well. Here’s how I can help. Set up a free 15-minute call to let me know what’s on your mind. We’ll talk about how I can best help you, and I’ll develop an individualized plan for you. Then we’ll work through the plan together during one or more coaching calls. I’ll follow up with you via email to make sure you have concrete notes on everything we talk about! I can’t wait to work with you and your students to make the most of this awesome time of life. P.S. I am not offering Montessori teacher training. What I am offering is advice to current teachers in traditional schools who would like to implement Montessori wisdom in their classrooms. If you want to become a true Montessori teacher/guide, then I recommend looking into the Association Montessori Internationale. They trained me! Learn more about the Montessori method here. Welcome, mamas and papas! Curious about Montessori education? Perhaps you’ve heard amazing things about the Montessori method, but you have some questions. There are a million Montessori schools in my area, how do I choose the best one for my child? My child already attends a Montessori school. How can I best support him at home? What are good age-appropriate toys/materials/activities for my child? I want to set up a nurturing home environment for my child. Can you help me? I homeschool my kids and I want to implement Montessori principles. Can you help me? What is the Montessori approach to discipline? How can Montessori help my child develop his whole personality, including his spiritual life? If these or other questions have been on your mind, then you’re in the right place. 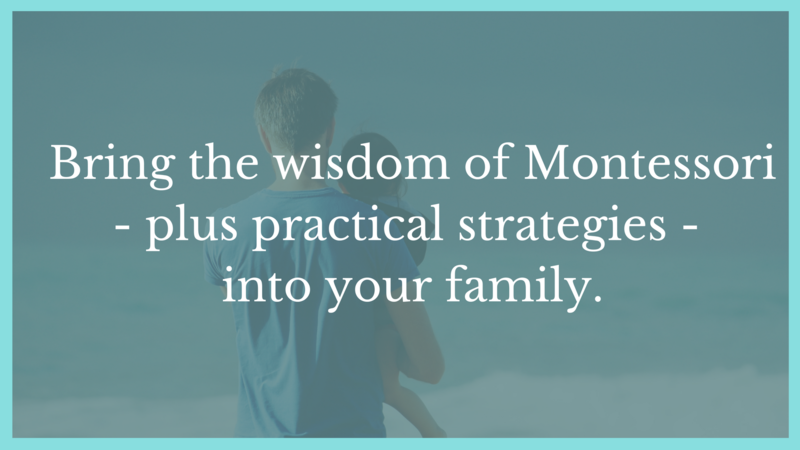 My passion is to help parents understand the wisdom of the Montessori method and apply it practically in their own homes and lives. 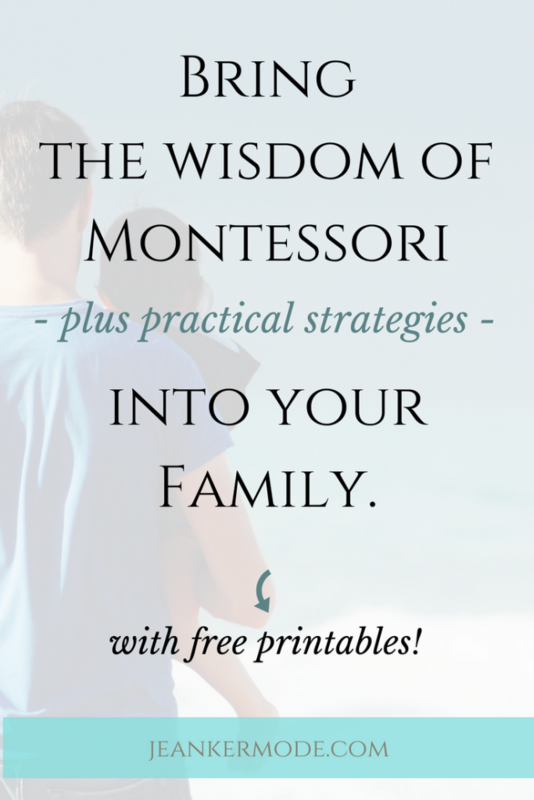 And, in the sea of advice that’s out there for parents, I’m confident that Montessori principles will make a difference in your life. Why? You want your child to thrive. You want to see her grow in confidence and independence. You want to see him become a thoughtful and responsible member of your family community. Most of all, you want your child to cultivate that unique set of God-given gifts that belongs to no-one else. I’ve spent many years working with children, and one year of intense study in the Montessori principles of education. I understand the nuances of this method, have applied it successfully with my own students, and have helped parents to understand and apply it as well. I can’t wait to work with you and your child to make the most of this awesome time of life.